Natalia Benson, Your Fall Astro Money Forecast — Chakra Girl Co. 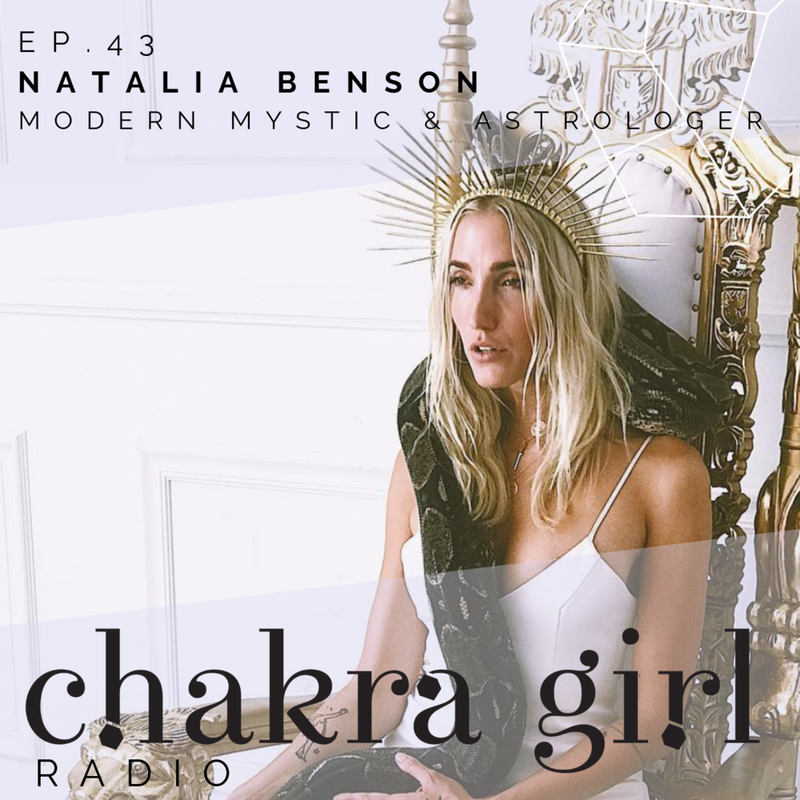 This episode of Chakra Girl Radio comes to you LIVE from the Dear Media Studio with our fav mystic mama, astrologer and tarot reader, Natalia Benson! This spiritual guru with serious style is joining us for her third time on Chakra Girl Radio. For all of you who know and love her like I do, this episode will not disappoint - And for those of you who are new to Natalia’s message and wisdom, trust me, you’ll be obsessed and want to check out her other episodes here! + All the stay-sane tips we’ll be needing as we move into a fresh new season! Ok seriously, what is life right now?! I am in LA for a Revolve event and just spent the day at Dear Media recording podcast episodes with Natalia, as well as with Lauryn Evarts Bosstick and Audrie Segura – such inspiring women I got to speak with and I walked away with such a full heart, and even some gifts! This was has just a huge up-level for me and I am just really happy to be surrounded by such amazing people. I can honestly feel the love from everyone I spoke with today and it's insane that this in my job. Tune into this episode to hear more of my Chakra Update including how I’m basically running with the Bachelor Nation crew now, and how I’m heading off to Paris so you must follow me, @chakragirlco to keep up with all the fabulous things I’ll be doing! + I have an awesome new post for you to check out at my Charka Bible resource centre. I'm spilling about all things Celebrity Chakra Analysis! Check your birth chart! You’ll hear in this episode that a lot of what Natalia and I chat about makes you realize how important it is to stay connected to yourself astrologically. It’s important so that you can know what’s going on, but I also love to stay up to date so I can excuse the crazy on the cosmos without going into victim mode! You all know how much I LOVE oils, so when I heard that I can infuse oils into my hair, OMG I was all in! The Valente Lusso hair straightener and my hair is seriously loving all the benefits. This will be a hair game changer! Speaking of combining spirituality with beauty, I also have a few spots over in October for chakra activations and I am actually adding beauty reiki to my repertoire! We can work with your beauty goals to activate your chakras into making them happen!! So DM me, or click here to book! Here are the links to all the awesome products and resources Natalia and I chatted about on this episode!